An abstract interface for a loading indicator. The loading indicator displays a message while a response from the server is pending. The widget will be shown and hidden using WWidget::show() and WWidget::hide(). If you want to customize this behaviour, you should reimplement the WWidget::setHidden() method. The destructor must delete the widget(). 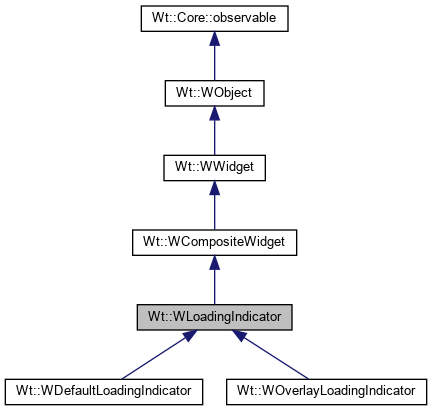 Implemented in Wt::WOverlayLoadingIndicator, and Wt::WDefaultLoadingIndicator.